While technological innovation can be a captivating narrative for military superiority, India should not blindly buy into this optical power. Military power derives its fundamental strength from its ability to threaten or use violence to secure political objectives. 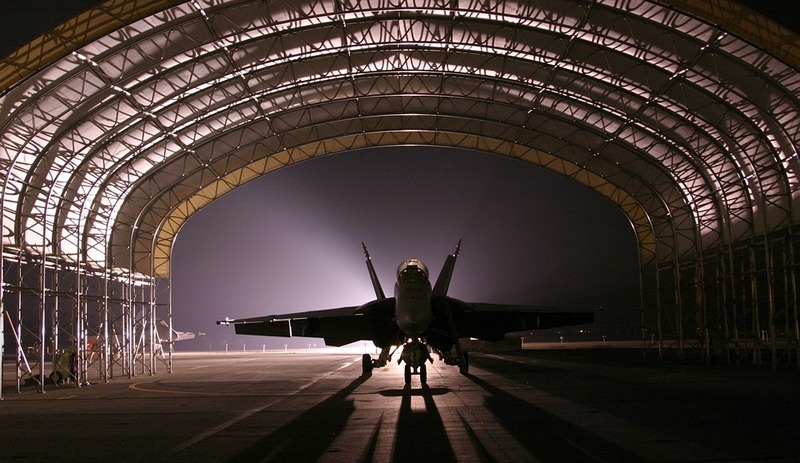 In human affairs, military power remains the ultimate determinant of conflict resolution. But nuclear weapons changed this basic assumption as the battlefield no longer offered the prospect of using violence to achieve substantial political objectives. Of late, al-Qaeda’s South Asia branch has been proactive and forceful in its campaign against India and its neighbors. A “code of conduct,” released by the group in June 2017, signaled an expanded geographical scope by including Afghanistan and Myanmar into its supposed domain of influence and operation, adding to its core focus on India, Pakistan and Bangladesh. Al-Qaeda in the Indian Subcontinent (AQIS) has since sought to augment this with a series of videos released at the end of last year that purport to depict anti-Muslim policies and atrocities committed by Hindu right wing groups, as well as the ruling Bharatiya Janata Party (BJP). The films all employ the phrase “saffron terror,” an allusion to violent Hindu nationalism. In an earlier update we had referred to PM Oli’s statement on Indo-Nepal Relations. We had said that what was more troubling was the open, brazen and arrogant declaration of Oli that he would be able to get more leverage from India by getting closer to China. Though we criticised the statement, it looks that Oli was perhaps right in his assessment on relations with India. The Economic Times of 21st March reported that the Centre had decided to hike its aid to Nepal by 73 percent from previous allocation “while expressing concern over increasing Chinese presence in some of the neighbourhood countries.” The heading of the news item was more direct that said that India’s aid to Nepal is up by 73 percent to check China’s infra push. It is also said in the report that the reasons for the hike are because of security concerns on the India- Nepal border. Of the world’s major faiths, Buddhism is often characterized as being a religion of peace, tolerance, and compassion. The Western encounter with Buddhism has largely been distilled through yoga, the beatniks, Hollywood, and Dalai Lama quotes shared on Facebook. But even a cursory glance at the news that emanates from the Buddhist world reveals a more sanguinary state of affairs. In Myanmar, ultra-nationalist monks have fueled a genocidal crusade against the country’s Rohingya Muslim population. In Thailand, the government has responded to a long-running Malay Muslim insurgency in its southern provinces by fostering a Buddhist militarism, encouraging monks in local temples to ally with the armed forces. And in Sri Lanka, the Buddhist-majority Sinhalese were engaged in a bitter civil war against the Hindu-minority Tamils for decades. More recently, Buddhist nationalists there have stoked anti-Muslim riots. The United States has launched its first major trade and investment measures against China, but they won’t be the last as the White House looks to make good on its protectionist promises. China will be compelled to respond in kind and may prompt the United States to retaliate in the process. As the United States moves forward with its aggressive trade agenda, the need to minimize the domestic fallout of its policies will restrain the White House. Xi Jinping made it. He can now retain his seat for life. The South China Morning Post reported: “Under the watch of a confident and relaxed President Xi Jinping, nearly 3,000 Chinese lawmakers were nearly unanimous in their approval of changes to the state constitution that included removing the term limit on the presidency. Chinese Constitution The Hong Kong newspaper said that Xi, who had maintained a poker face throughout the opening day of People’s National Congress (NPC), appeared "much more at ease after the vote". Only two of the 2,964 deputies voted against the constitutional revisions; the process was over in just one hour: no debate took place, no discussion and not even canvassing. 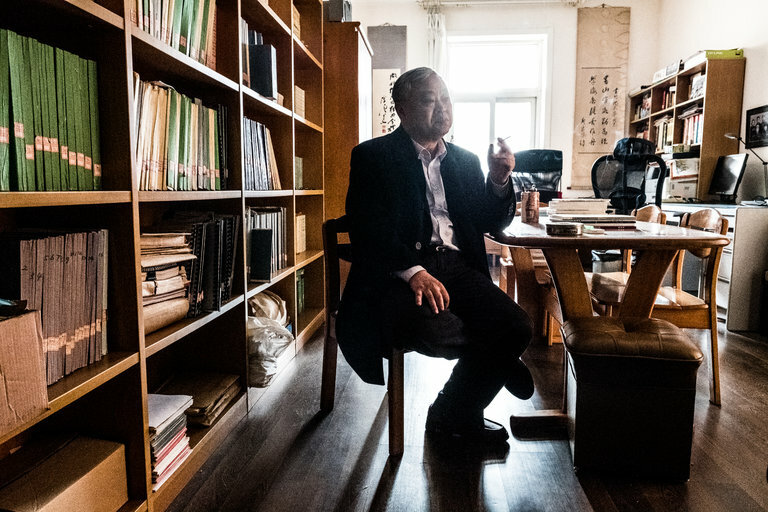 BEIJING — Shen Zhihua, bon vivant, former businessman, now China’s foremost Cold War historian, has set himself a near-impossible task. He wants China to peel back its secrets, throw open its archives and tell its citizens what went on between China and the United States, between China and North Korea, and much more. Even before the hard-line era of President Xi Jinping, the Communist Party has acted like a supersensitive corporation, blocking highly regarded historians like Mr. Shen from peering too deeply. Precious documents have been destroyed, stolen or kept under seal by librarians skilled at deflecting the inquiries of even the most tenacious researchers. The Trump Administration announced tariffs and other restrictions on China's high-tech industry Thursday. The implicit message is the actions intend to guard the U.S. military's technological advantage in a 21st Century battlespace. The new order imposes tariffs on about $50 billion worth of specific products from China, authorizes filing a World Trade Organization case against China, and puts limits on Chinese investment in U.S. technology companies to protect them from being forced to share intellectual property with Chinese partner firms. Trump’s lead trade official detailed the U.S. complaint against China. The nation has a policy of forcing technology transfers between U.S. companies and Chinese partners as part of doing business in the nation and acquiring U.S. technology through cyber theft, U.S. trade representative Robert Lighthizer said at the ceremony. Which Way Forward for al-Qaeda in the Arabian Peninsula? Beginning in February, the United Arab Emirates (UAE) and its proxies launched sequential offensives against al-Qaeda in the Arabian Peninsula (AQAP) in the southern Yemeni governorates of Hadramawt and Shabwah. The latest offensive, Operation Sweeping Torrent, was launched on March 7 with the objective of clearing AQAP from the governorate of Abyan, a longstanding stronghold for the organization (Middle East Monitor, March 8). The UAE and the security forces it backs in Yemen claim to have successfully cleared AQAP from large swaths of all three governorates. According to President Nursultan Nazarbayev of Kazakhstan, 2011 was the last time the leadership of the five Central Asian countries all sat together at the same table to discuss regional issues (Tengrinews, March 15). On March 15, 2018, Nazarbayev, President Shavkat Mirziyaev of Uzbekistan, President Sooronbai Jeenbekov of the Kyrgyz Republic and President Imomali Rahmon of Tajikistan met in Astana. Turkmenistan’s President Gurbanguly Berdimuhamedow missed this gathering for a visit to Kuwait to sign numerous energy agreements and instead was represented by the chair of the parliament, Akja Nurberdyeva (Turkmenistan.ru, March 14; see EDM, March 20). Several statements and interviews from Russia’s military top brass, especially marking the fifth anniversary of the appointment of Sergei Shoigu as minister of defense in November 2012, note the effort to reintroduce a number of divisions to the order of battle (OOB). 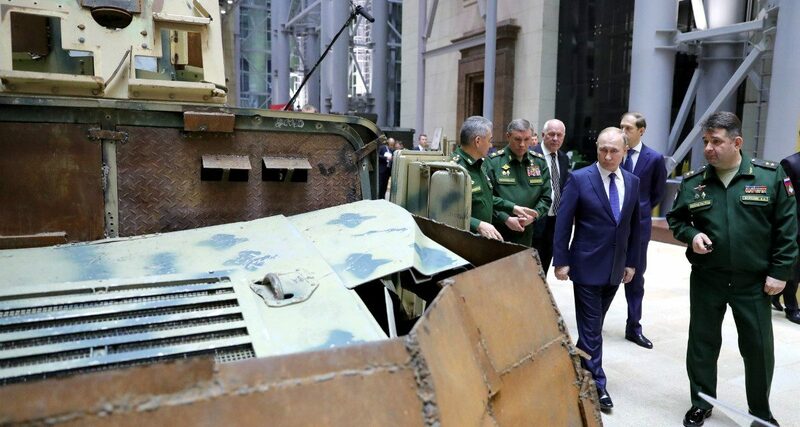 These structural-level changes appear to mark a departure from Anatoly Serdyukov’s (defense minister in 2007–2012) reforms to move the OOB to a brigade-based model. 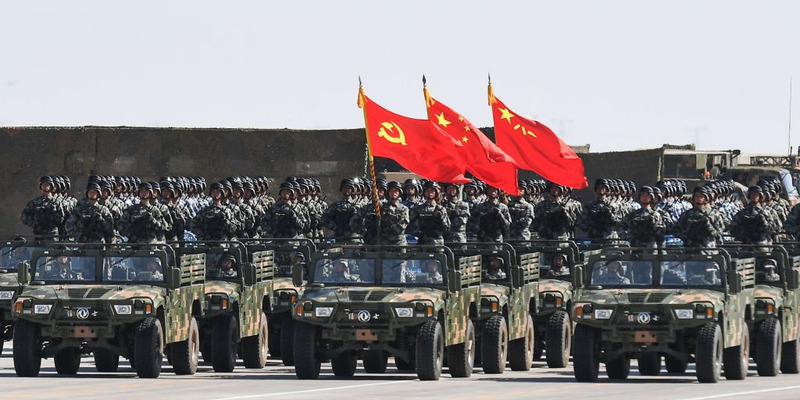 The reappearance of divisions in the Ground Forces has also been interpreted as a sign that the General Staff is preparing to conduct “large-scale” warfare against a conventional enemy. This interpretation seems to fit with the idea that the Russian military is preoccupied with confronting a threat from the North Atlantic Treaty Organization (NATO). However, some of the details around the move to reintroduce divisions to the OOB, as well as the locations of these formations, point to Moscow preparing for long-term conflict in Ukraine, replete with a range of escalation options (see EDM, March 6, 2018; TASS, December 22, 2017). In January 2006, the radical Islamic movement Hamas won a sweeping majority in the Palestinian parliamentary elections, with an almost outright victory within the electoral districts of the Gaza Strip. This in turn led to confrontation with the secular-leaning Fatah movement, which Hamas would go on to violently eject from the Gaza Strip in 2007, leading to the current splitin which Fatah retains control of the Palestinian National Authority and Palestinian Liberation Organization based in Ramallah, and the Gaza Strip is controlled solely by Hamas (which is considered a terrorist organization by Israel, the United States, and the European Union). A joint Israeli-Egyptian blockade followed Hamas’s takeover of the Gaza Strip, and has all but stopped the flow of goods and people across land, sea, and air borders. Hamas and Israel have also engaged in several rounds of conflict that have not only intensified the blockade, but have also led to massive destruction of property worth billions of dollars, including critical infrastructure. The ongoing feud between the Palestinian Authority and Hamas has led to cuts in Palestinian Authority payments to Israel for electricity in the Gaza Strip, and Hamas has raised tariffs and taxes on Gazans to generate revenue. It has been a long ten years. When Philip Hammond delivered his spring statement last week, it marked a decade since the last pre-crash budget of 2008, when Alistair Darling delivered rosy forecasts for growth and continued public spending to buoy up services, even as the clouds overhead had already become full-blown grumbling cumulonimbus beasts. Since then, the superlatives have rolled in. Paul Johnson of the Institute for Fiscal Studies sets them out well: the deepest recession since the 1920s. The slowest recovery since the 1920s. The worst decade for earnings growth since the 1860s – if not earlier. The highest deficit since the second world war. The biggest peacetime surge in public debt. The Conservatives – first in coalition with the self-immolating Liberal Democrats and then with renewed vengeance alone – have presided over one of the most pathetic and febrile periods in our economy’s history. As the news leaked last week that Lt. Gen. H.R. 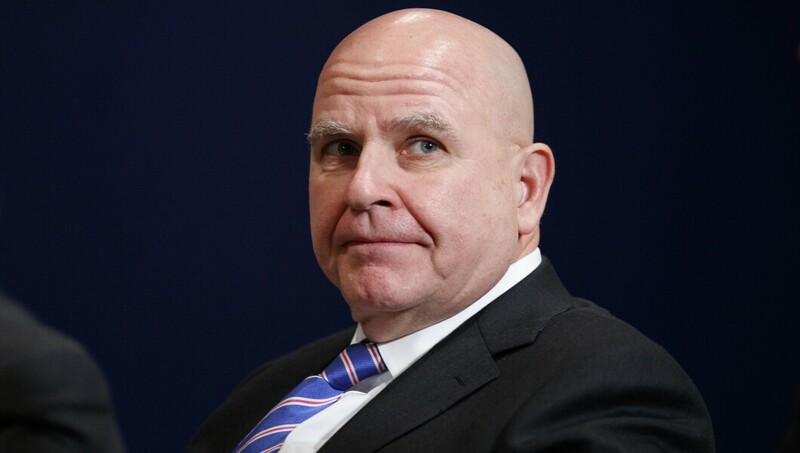 McMaster would soon be replaced as President Trump’s national security adviser, speculation swirled about whether the storied military officer would be given a four-star command somewhere, a soft-landing after a hard run at the White House. Instead, the only active-duty service member in the president’s Cabinet is ending his distinguished 34-year Army career with an inglorious firing. We might look back on 2017 as the last moment of unbridled faith and optimism in the technology industry. The revelations about Cambridge Analytica’s use of Facebook data — mining more than 50 million users’ personal information — came at a time when people were already considering appropriate ways to curb the handful of tech companies that dominate not just the American economy but also, increasingly, American life. As the information revolution took off in the 1990s, we got caught up in the excitement of the age, along with the novelty of the products and their transformative power. We were dazzled by the wealth created by nebbishy 25-year-olds, who became instant billionaires — the ultimate revenge of the nerds. And in the midst of all this, as the United States was transitioning into a digital economy, we neglected to ask: What is the role for government? 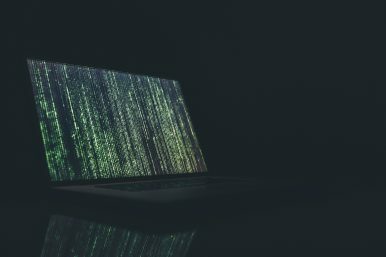 In January of this year there was significant press about how the Department of Defense was considering nuclear retaliation for a cyber attack. The Joint Chiefs of Staff pushed back against this idea stating that the new posture review spoke about strategic level attacks beyond a nuclear scenario and that cyber wasn’t even mentioned. This entire conversation side stepped perhaps the most important point being punctuated by this line of thinking. The United States’ geography has fundamentally shifted. No other country in the world can claim that their continuous territory has remained free from foreign adversaries in the last 200 years while actively engaging in multiple conflicts. Yet today, the United States is further constrained than at any point previously in its history. A nuclear Armageddon is no long the only thing the U.S. military and population need to worry about. Today, cyber attacks are a very real way to bring the war to the home front in a way that noone in two centuries has experienced. WHO SAYS CYBER WARRIORS NEED TO WEAR A UNIFORM? Gallons of ink have been spilled since the Department of Defense began exploring plans to permit cyber-qualified information technology specialists to join the military at ranks above entry-level and without undergoing entry level military training. The idea was initially floated in June 2016, with the Army, Navy and Air Force all considering implementation. In May 2017, the internet almost broke when the Marine Corps weighed whether to allow cyber recruits to skip basic training and enter as staff sergeants, not unlike “The President’s Own”—the Marine Band. The debate has centered around whether allowing Marines to skip the time-honored leveling and shaping experience of boot camp and granting them “unearned” rank would be detrimental to the service ethos. 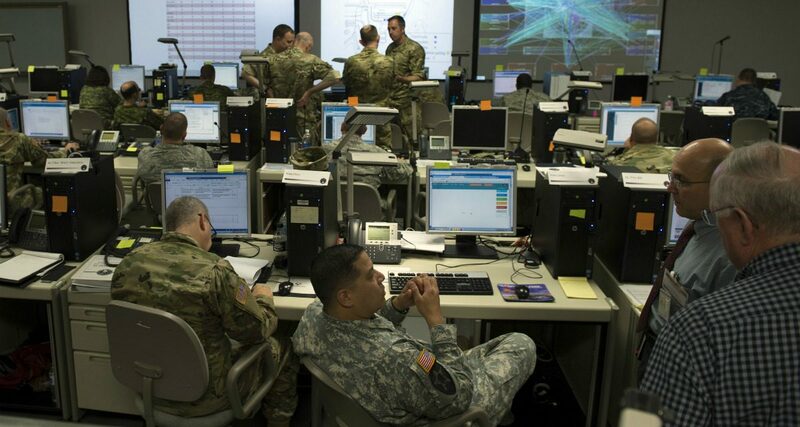 But much of the commentary is missing a more fundamental question: Why does the new crop of cyber operations specialists need to be in the military at all? Spoiler alert: they do not. And an elite Marine Corps shows why. Do You Even OPSEC, Bro? John PWN Jones is a former surface warfare officer, a lateral transfer to the CW community, and is fine with you proving him wrong. He’ll email you on the “high side” if you make enough stink, and used a pseudonym because not today, ISIS. The opinions here are his own, and do not represent the views of the Department of Defense. Remember when we didn’t do our adversary’s targeting for them? Remember when we didn’t openly acknowledge our personnel’s associations with intelligence agencies? Remember when we didn’t freely put targets on the back of the military? Pepperidge Farms remembers. We have a serious problem, and it goes far beyond “fake news.” Too many Americans have no idea how to properly read a social media feed. 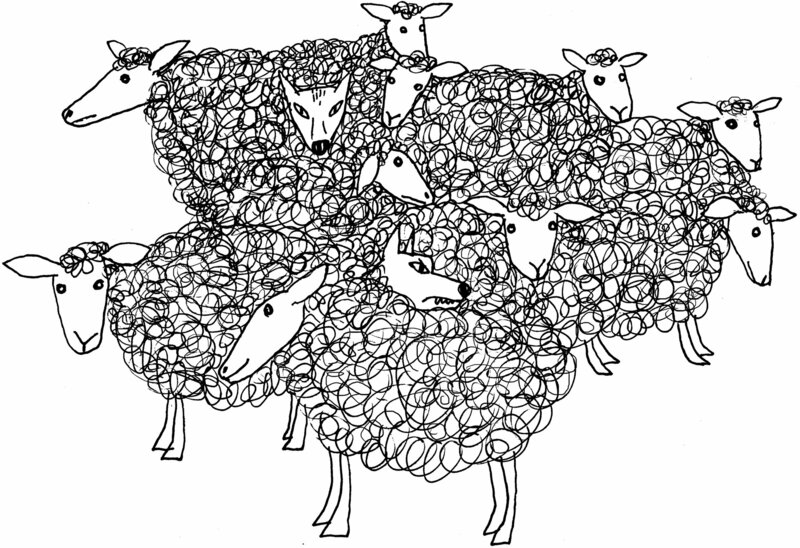 As we’re coming to learn more and more, such ignorance seems to be plaguing almost everybody — regardless of educational attainment, economic class, age, race, political affiliation or gender. Some very smart people are helping to spread some very dumb ideas. We all know this is a problem. The recent federal indictment of a Russian company, the Internet Research Agency, lists the numerous ways Russian trolls and bots created phony events and leveraged social media to sow disruption throughout the 2016 presidential election. New revelations about Cambridge Analytica’s sophisticated use of Facebook data to target unsuspecting social media users reminds us how complex the issue has become. Even the pope has weighed in, using his bully pulpit to warn the world of this new global evil. The Army is modernizing three artillery systems: 155 cannon, the cheapest option, for the close fight against the enemy's frontline forces; guided rockets for the deep fight against enemy reinforcements and supply lines; and missiles, the most expensive munitions, for very deep or even strategic strikes against targets in the enemy rear and homeland. Within five years, the US Army will field new artillery weapons — howitzer shells, rockets, and missiles — with ranges of 70 to 500 kilometers, double that of current systems. After 15 years of close-range combat against insurgents, the service’s top priority is now what it calls Long-Range Precision Fires to counter “peer competitors” like Russia and China on vastly larger battlefields.